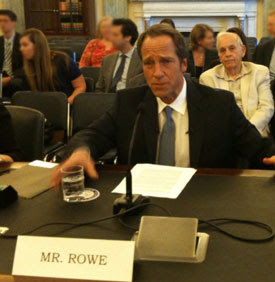 Those who know me best must immediately think that I am talking about Mike Rowe and his testimony today before the U.S. Senate Committee on Commerce, Science and Transportation. 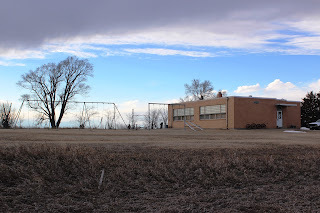 As a Nebraskan, with family and friends closely tied to the skilled trades, I applaud his testimony, and I encourage everyone to go to his website and read his oral testimony. It is not only informative but entertaining - who would expect anything less from Mike Rowe? Doesn't he clean up well? I have read essays from Mike railing against "earnestness", but truly, doesn't he look earnest? I tease, because Mike and his mission of celebrating "the hard-working men and women who make civilized life possible" is one dear to my heart. He says everything that I wish I could say, and he has the wide audience, that it would be wonderful to have to influence so many people. However, in lieu of that, I'm going to encourage everyone I can to go and listen to him. Over and above his oral testimony is his written testimony that outlines many of the initiatives that he's involved in to further the cause of the skilled trades. Mike is really on to something here, and people - individuals, government, business, industry, labor - should sit up and take notice! However, if you think that's what I'm talking about, you'd be wrong. "What would Mike do?" refers to the OTHER Mike - Mike Holmes. Mike is a Canadian contractor who is passionate about doing things right - and he's passionate about helping the next generation of contractors have access to the tools they need to learn how to do it right. Much like Mike Rowe. You can see Mike Holmes on HGTV on Holmes on Homes, Holmes Inspection, Holmes in New Orleans, and Lien on Me. He also has a foundation: "The mission of The Holmes Foundation is to ensure that all residential renovation and construction in Canada is done right–the first time." The Holmes Foundation will do this by partnering with schools, businesses and governments to raise the profile and reputation of all skilled trades in Canada, using Mike Holmes' reputation to encourage young people to pursue careers in the skilled trades and to encourage employers to hire them. In addition, The Holmes Foundation will provide information on careers in the building trades and will offer scholarships and bursaries to students pursuing training in these trades. Naturally, we watch Mike Holmes a lot! And now, The Mister is in the middle of our latest remodeling project, the bathroom off of the laundry room. Now The Mister can do ANYTHING! It is one of the things I love and admire the most about him, and my experience with those qualities in him is what draws me to public figures like Mike and Mike. Out came th sink, vanity, mirror, toilet, tub, walls... you name it! Seemingly every day he has a "Mike" moment (I mean Holmes, not Rowe, although judging from the mess throughout the house when I get home from work, I suspect there's a little Rowe involved as well), in which he considers cutting corners, taking a short cut, and maybe doing things just not quite right to get the job done. Then he asks himself "what would Mike do?" and decided to do it RIGHT. Things are now starting to come back together, and while there are multiple glitches along the way, I'm confident that the job will get done right, and it can't be soon enough to suit me! So, whatever you're doing, ask yourself... what would Mike do? Then do it - the right way!